16 AWG (American Wire Gauge) 1.290 mm. Carol-C1602 (Black Rubber type Jacket)20 AWG -0.813 mm. X-HD SeriesThese heavy duty cable connectors were made for outdoor, high traffic, or industrial applications. The male shell is stainless steel and the female is covered in neoprene with a sealing lip to mate securely. Gold contacts, which offer superb abrasion resistance, are standard. The two piece metal boot contains a rubber “O” ring which prevents elements from entering the shell. The X-HD series is dust proof, water and corrosion resistant according to IEC-144:IP65 when mated together or IEC-144:IP54 when mated with others. 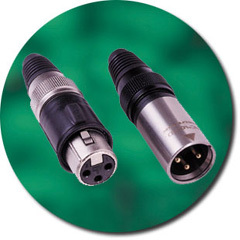 The splitter box is a simple mechanical housing containing 1 male XLR input connector and a number of female XLR output connectors. The splitter Boxes simply serve to expand the number of firing modules that may be connected to the system network. The most common splitter is 1 to 5 (1 male 5 female), but we can make customized boxes on request. This Time Code Modem represents the latest Design, 202 FSK External Time Code Modem from Pyrodigital Consultants. This Modem is designed for use with fixed location office Scripting Computers as well as for use on the road with Portable Scripting Computers. The Modem is powered either from the AC Mains (through a transformer wall pack), or via it’s own standard 9 volt battery.The Pyrodigital Time Code Modem’s function is to read (and generate) Pyrodigital Time Code. Pyrodigital Time Code was developed by Pyrodigital Consultants for use with Starlight Systems and Pyrodigital Scripting/Choreography Software, as well as Pyrodigital Firing Hardware. The Modem Unit serves as a link between the digital world of computers and the analog world of everyday audio tape machines. The Time Code thus serves to link the Music (on a separate audio track) to the Choreography and/or Firing Computer in a transparent and automatic fashion.